Bigg Boss 11 sees Bandgi Kalra demanding a break-up from Puneesh Sharma. 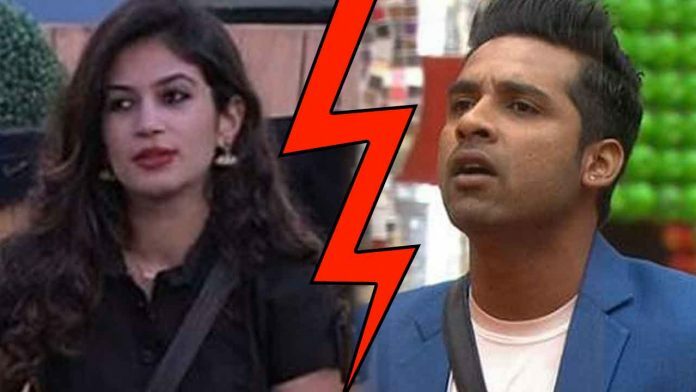 One of the latest videos shared by the makers of Bigg Boss 11 sees Bandgi Kalra demanding a break-up from Puneesh Sharma. The audience is everyday getting to see lots of fights and arguments in the controversial house of Bigg Boss 11. But there are two people who balance all that hate with their love on the show. And you must have guessed it by now that it is Puneesh Sharma and Bandgi Kalra. They are the only couple in the house. And never hesitate in expressing their love for each other in front of everyone. They were even heard discussing about the future of their relationship. And were also seen making out under the blanket and getting locked inside the washroom together after midnight. In one of the latest videos shared by the makers of Bigg Boss, we see that Bandgi is demanding a break-up from Puneesh. She is heard saying that everyone in the house has got a problem with their relationship. And hence it is better for the two of them to end it. While it is quite evident from her tone that she is just kidding, Puneesh also agrees to call it quits. Further the two of them can be seen having a good time with each other, where Puneesh is teasing Bandgi. They even call Vikas Gupta and joke with him. Previous articleShraddha Kapoor Looks Overwhelmed With All The Love As She Addresses Her Fans! Next articleRani Mukerji’s Comment Over Bollywood Stars Being Judged For Their Airport Looks!